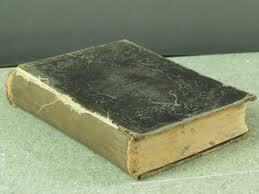 Julie Daines: What's Up With Old Books? What's Up With Old Books? 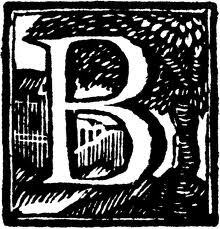 For the A-Z Blog challenge, I will be addressing some of life's big questions. Perhaps together we can find the answers to many heretofore unsolvable mysteries. Why is it that in old movies the books still look old? 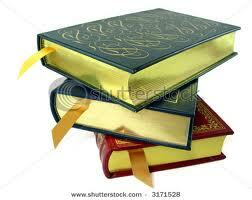 At some point, the books had to have been new, but we never see it. This is something that has bothered me for a long time. 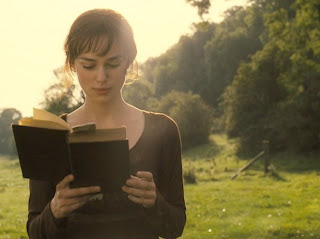 No matter how far back in time the movie goes, the books are always old. Someone please explain to me why? Look at this guys library. All old. Maybe they were new then? And they just come looking old to us? I think Hollywood has this problem a lot. In a period movie they tend to make everything look old, even if it was new then. It adds to the atmosphere. There were shiny paperbacks with glossy covers back then, but they didn't sell well at Ye Ol' Barnes & Noble. People liked musty things. Must carriages, musty castles, musty clothes. Shiny wasn't cool. Good point. 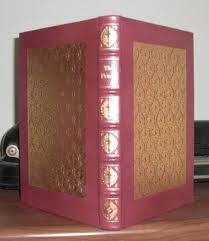 I once had a book rebound in leather for my Grandfather - the leather was glossy and the gilding glittered. That's how I imagine they must have looked - and the indentations from the press would have been crisp, too. That is exactly what I'm talking about. Thank you! Someone was just telling me that they were having a yard sale, and someone came looking for old books. He looked only at the covers, because that's what mattered. They weren't meant to be read-- they were meant more as a piece of art. A shelf in his living room of cool-looking old books. So maybe in the movies it's an art thing, too? 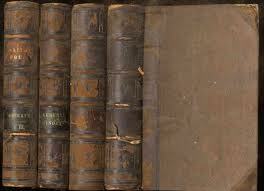 I think you're right, they just need the old, musty books to look artsy, not so much realistic. Those are old books from old movies. Remember, Captain Kirk had the first iPad on the Enterprise. Only it wasn't called an iPad than. I don't remember Capt. Kirk's tablets. But I was young when those were on TV. I'll have to go back and check. It's crazy that technology is catching up to science fiction. It's because old books just LOOK cool. Even people in Austen's era understood that I guess and kept a few oldies in their libraries. 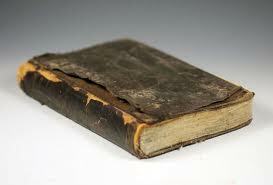 I wish I had some, but apparently my books need a few centuries to age. Great post! I agree, they do look cool. And I think we just expect them to look a certain way. I can't say I've ever thought of that. Were they only reading books from the 10th century? I agree with your comment about Hollywood, though. They take liberties with a lot of things. 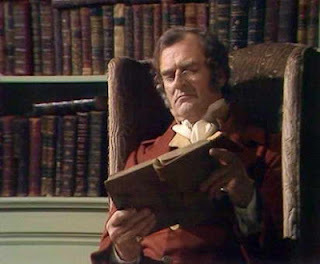 Although even in the BBC productions the books look old, right? It does add to the atmosphere. When I click on your name to try to visit your blog, it doesn't take me there. Help! Mind blown. It's so true! I never noticed! Why are Aliens so Lame? The Didgeridoo: How is it Possible?